Local taxes have been frozen for some years but Government pressure means that this is no longer going to be sustainable. So it’s even more important to ensure that your money is spent wisely. Currently the District remains jammed in the last century. It receives half a million phone calls a year, mainly from people who would prefer to do business online. Its planning system is difficult to manage with overworked officials struggling to process routine enquiries. Increasingly the Conservative answer is to make people pay as they go, whether directly or through ‘crowd-funding’ – basically making people pay twice for the services they use. Oppose attempts to expand the use of ‘pay as you go’ services. We have worked with other parties to deliver a new recycling contract – a process the Green Party failed to support. The new contract has got to be made to work everywhere – not just in houses with drives, but in terraced streets and flats. Meanwhile the standard of street cleansing gets worse every year. Leaves are left for months or longer and our drains get blocked as a result. Some streets with parked cars barely get cleaned at all. This could be avoided by working with the County Council more effectively. Air pollution is an increasingly worrying issue and we are glad to have worked with the County Council to devise a scheme to reduce air pollution on Holywell Hill - but this is taking too long. Meanwhile the queues of cars into St Albans are causing massive delays, damage to the local economy and yet more air pollution – something not helped by the cuts in bus services made by the Conservative-controlled County Council. Cycling still needs further work. The County Council has helped deliver the ‘green ring’ but our roads still feel very unsafe. Many private blocks of flats have either no facilities or facilities that are desperately insecure. Find ways of funding a refurbishment of Clarence Park and its pavilion as well as seeking long-term solutions for reducing pollution of Verulamium lake and the Ver. St Albans residents spend a fortune on season tickets and yet receive a service which simply does not get better. Thameslink is fond of blaming Network Rail but even they cannot pretend that they are not responsible for the lack of drivers and the resulting cancellations. Work with other councils serviced by the Thameslink line to put pressure on the Government to penalise Thameslink for its failures. We have to make sure that businesses are allowed to thrive. This has not been made easy by the Government’s foolhardy decision to allow offices to be converted to residential units without planning permission – which has meant that businesses are being driven out of town centres while traffic is allowed to increase without any mitigating measures. Work much more closely with local businesses to find out what their needs are. Young people need a better voice. The Youth Council is a start but so often issues of concern are ignored in the Council’s policy making or put in a box and forgotten about – as has happened with their concerns over the regulation of the taxi trade. Ensure that all council papers have a youth impact section to remind councillors of the importance of our future citizens. St Albans still manages its own council housing but it is increasingly clear that the management of repairs and capital improvement has been lamentable. Meanwhile, the housing stock is under pressure as never before as the Conservative Government seeks to enforce sell-offs and drive those on lower incomes out of the district. 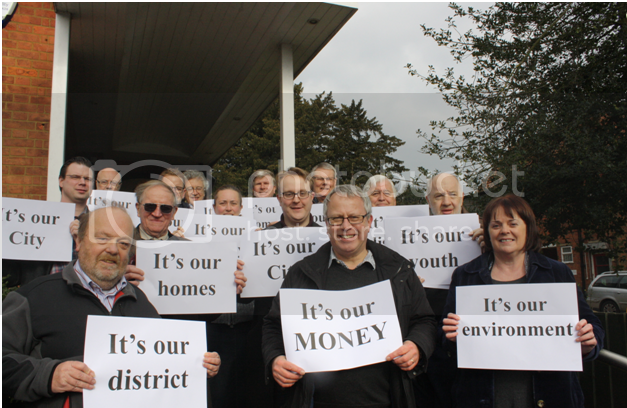 Work with other councils to oppose the Government’s plans to reduce the quantity of affordable housing in the district. The Liberal Democrats aren't funded by big business or trade unions, we rely on donations from ordinary people just like you - so we need to raise £1,000 before the election to get our message across to everybody in the District. Your money could pay for a round of Focus leaflets, letters to local people about important issues or time on the phones so we can speak to as many people as possible. 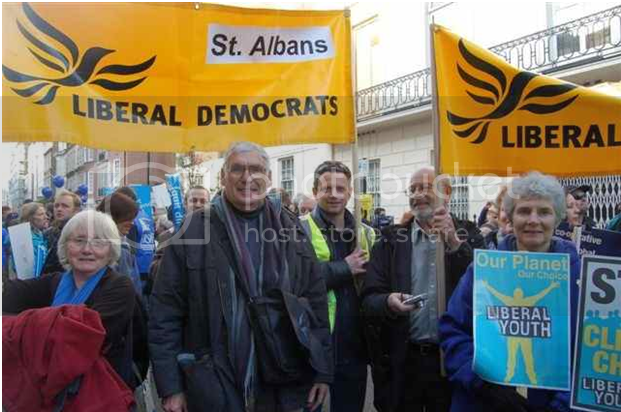 If you agree with our ambitions for St Albans, please donate to our campaign today.